Bob and Kim greet Don Hughes when he returns for Chris and Nancy's 50th wedding anniversary in April of 1986. 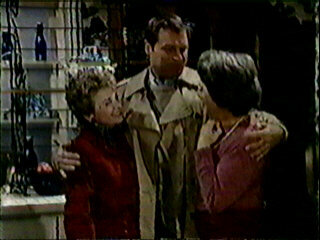 Don tells Bob, Kim, Penny, and Nancy that Mary's doctor wouldn't let her travel... because she's pregnant! Then Kim and Bob told him that Kim was pregnant! 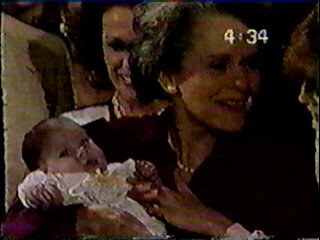 Don and Mary arrive for Chris Hughes' funeral in late 1986 with baby Christina Nancy. Barbara meets Christina for the first time. Nancy meets her newest granddaughter for the first time. Nancy introduces Frannie to Christina and tells her that this is the future. Seth meets the newest member of the Hughes family before he and Frannie leave. 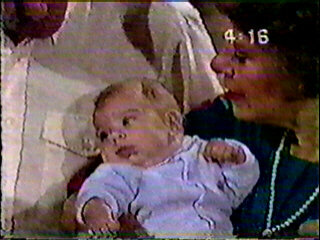 Nancy says that Chris was very happy to hear about the baby before he died. The Hughes family, minus one Chris Hughes. This is Lisa, Penny, Mary, Don, Christina, Nancy, Kim, and Bob. Mary says that she had a wonderful conversation with Chris just after Christina was born and Nancy tells them that despite their loss, they're all very blessed.